We offer a number of special programs to give city children opportunities to experience the arts. Ever wonder what has to happen before a performance can come to life onstage? Through our Final Dress program, 6-8 grade students get an inside view of the rehearsal process of a theatre production. First, they observe Baltimore School for the Arts actors rehearse in a behind-the-scenes format. They’ll also take a tour of the school’s scene shop and performing spaces. This visual arts program for students in grades 4-7 brings small groups of public school students to campus for a gallery visit and talk, as well as the chance to observe visual arts classes. It provides both a “first look” at how to look at art, as well as the opportunities available at Baltimore School for the Arts. HelloTWIGS! creates opportunities for children in four neighborhoods in which the high school or TWIGS has limited or no representation. Each Saturday, we bring by bus about 70 students from Tench Tilghman Elementary/Middle School, Armistead Gardens, the Commodore John Rogers School, and Maree G. Farring Elementary/Middle School to BSA to attend a class in dance, visual arts, or theatre, and to eat a healthy lunch. There’s no better way to experience the arts than through a live performance. 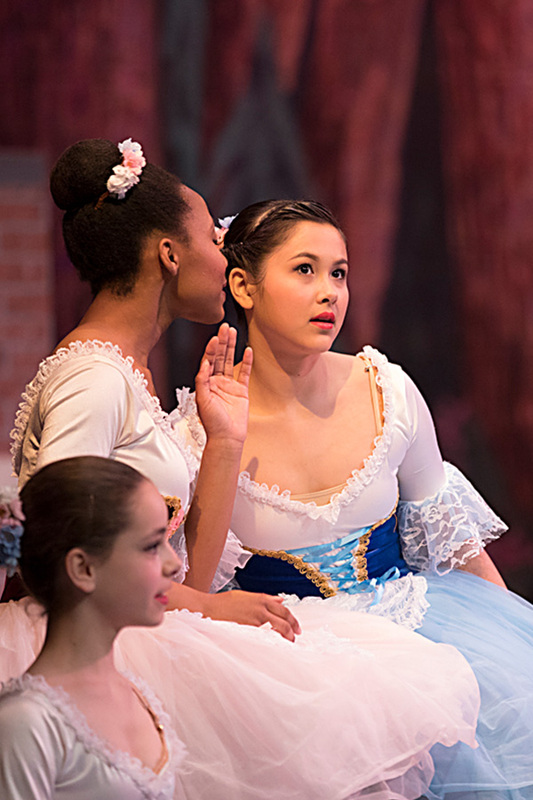 We offer free matinee performances to elementary and middle school groups from city public schools. For many of our guests, this will be their first experience at a live performance and one that can truly be inspiring. We also send teachers a copy of Artsource, a pre- and post- performance resource guide, in advance of each show to help teachers prepare for the event and and follow up afterward with discussion and activities.